Monte is a native to Greenville County where he was born in October 1983. He grew up in Piedmont and attended Woodmont High School where he was a member of both the basketball and baseball teams. He currently lives in Downtown Greenville with his new wife, Amanda. He is a founding member of Chasteen Law and has a general practice that focuses primarily on recovering liability insurance relating to personal injury and automobile accidents. In addition, he handles numerous types of cases including family law, wills and trusts, personal injury, wrongful death, bad faith insurance claims and social security disability. In May of 2010, Monte received his Juris Doctor from Faulkner University’s Thomas Goode Jones School of Law in Montgomery, Alabama and was admitted to the South Carolina Bar in November of 2010. During law school, Monte worked as a law clerk at Beasley Allen, a nationally recognized firm that specializes in personal injury and other types of complex litigation. During his time at Beasley Allen, Monte worked on federal employment law cases, specifically focusing on cases involving the Fair Labor and Standards Act. Prior to law school, Monte worked as a research associate at the government consulting firm, Kinghorn, Hilbert and Associates in Washington, D.C. He held internships with several United States Congressmen and also performed construction work at Atwood Site Work Services. He received a Bachelor of Arts in Political Science from Winthrop University in December of 2005. 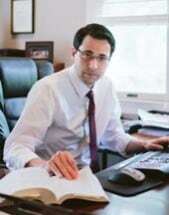 Being a Greenville native, Monte always wanted to return home and is now a founding member of Chasteen Law.